Fine lines, wrinkles, deep creases and volume loss are just a few signs that the skin is not as young as it used to be. When age starts to make its mark, many people turn to injectable treatments such as Botox, dermal fillers and fat injections. Injectable treatments rejuvenate the skin by reducing wrinkles and restoring lost volume. Since each of these cosmetic treatments can improve the appearance of the skin, many people are not sure which treatment is best to help them achieve their desired results. Botox is used to reduce fine lines and wrinkles that become visible due to age. It is a neurotoxin derived from a plant that is safe to use in small doses. Botox works best when injected in the “crease points” where the muscle contracts. It temporarily paralyzes the muscle under the wrinkles and prevents that muscle from contracting so both the muscle and skin can rest while the skin starts to smooth out. This treatment is best suited to reduce the fine lines around and between the eyes as well as the wrinkles across the forehead. Botox is performed in-office and only takes a few moments per injection site. There might be some slight swelling and bruising at the injection site but these conditions will disperse within a few days. Although it is a rare complication, Botox can travel to other parts of the face and temporarily paralyze those areas. However, a well trained cosmetic physician can provide great results with limited risks and side effects. The results from Botox are not immediate and it can take up to 3 or 4 days for patients to notice a difference. Improvements continue over the first two weeks and the results last 3 to 6 months. According to the American Society of Plastic Surgeons, Botox costs are usually around $371 per treatment. Collagen-Based Fillers: Collagen is a protein naturally found in the body that adds strength and structure to the skin. Collagen-based fillers are derived from cattle and are safe to use in the body. However, this type of filler is temporary and the results only last between 4-6 months before the filler is naturally absorbed by the body. The cost of collagen injections is approximately $470 per treatment. Some of the common brand names for this filler include Cosmoderm, Cosmoplast and Evolence. Hyaluronic Acid-Based Fillers (HA): Hyaluronic acid is also a natural substance found in the body that keeps the skin hydrated and filled with volume. Hyaluronic acid fillers last between 6-12 months before being absorbed within the body. The cost of hyaluronic acid fillers is around $530 per treatment. Juvederm, Restylane, Voluma and Belotero are some of the common brand names for this type of filler. Calcium Hydroxylapatite: This filler is made from a naturally occurring substance found mainly in the bones. Therefore, it is safe to use because it generally does not cause allergic reactions. Calcium Hydroxylapatite is denser than hyaluronic acid fillers and contains tiny particles of calcium surrounded by smooth gel. Since this filler is thicker than others, it is injected deeper under the skin and lasts 12 months or longer due to its ability to stimulate natural collagen production. Calcium Hydroxylapatite costs about $626 per treatment and Radiesse is one of the popular brand names for this filler. Poly-L-lactic Acid: Poly-L-lactic acid fillers are made of a biocompatible, biodegradable synthetic substance and are used to treat deep facial lines. Fillers with thicker substances tend to last longer and poly-L-lactic acid fillers are considered semi-permanent due to their thick nature. The results can last more than 2 years and can cost about $987 per treatment. Sculptra is a common brand associated with poly-L-lactic acid fillers. Polymethylmethacrylate: This type of filler is the only permanent filler approved by the FDA. Polymethylmethacrylate fillers contain collagen which provides structure and firmness as well as a synthetic, biocompatible substance that forms into a microsphere and remains under the skin. The microspheres are not capable of being absorbed by the body. This filler is only used in regions with thick skin such as the folds of skin between the cheek and mouth area. Polymethylmethacrylate injection results can last about 5 years and cost about $995 per treatment. ArteFill is a brand commonly used for permanent fillers. Dermal fillers are minimally invasive and can be performed in the doctor’s office with little downtime. The doctor cleanses the treatment area with an antibacterial agent and a topical numbing cream may also be applied to the injection site. 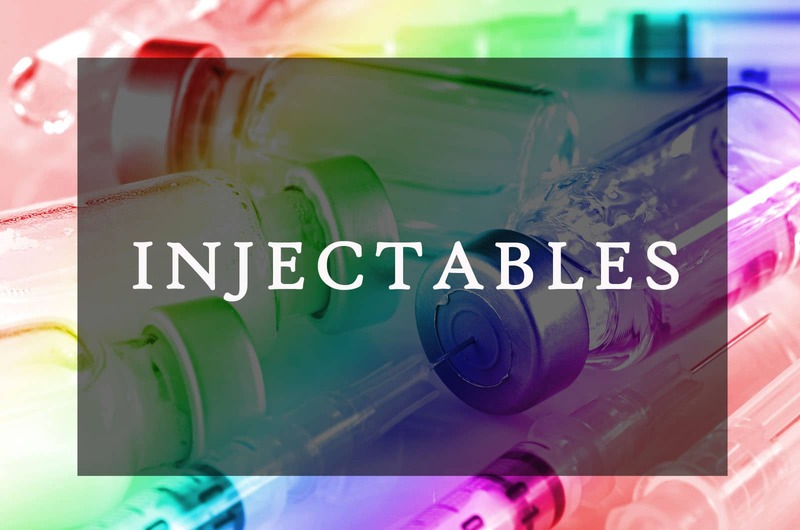 Patients may experience some redness, swelling or minimal bruising at the injection site but they should dissipate within a week to ten days. There are generally no restrictions or pain medications needed and ice can be applied to the area in order to minimize bruising. Some patients may experience lumps or bumps which can usually be massaged away. The risk of a reaction to fillers or developing an infection is rare but is a possibility for some patients. Fat injections provide similar results to dermal fillers except fat injections are a little more invasive. Fat injections are performed in the operating room and the patient is generally placed under general anesthesia. During the procedure, the surgeon harvests the fat via liposuction from the patient’s own body in areas that have excess fat and may include the abdomen, thighs or hips. The fat is processed, purified and injected deeply into the skin. Because the fat is taken from the patient’s own body, the risk of intolerance or infection is eliminated. Furthermore, the injected fat is recognized by the patient’s body and begins to act naturally and grows blood vessels to sustain life. Possible risks include an adverse reaction to the anesthesia, bleeding, swelling, bruising and asymmetric results due to one area retaining more live fat than others. Although volume loss continues as a person ages, fat injections can last for years and even a lifetime. The cost for fat injections is about $1658 which does not include the facility fee or anesthesia fee.